When it comes to technology, the industry keeps changing and revolutionizing at every turn and in every few days. New technology or software pop up every few months and that makes developers change up their job description. Web developers know and understand that the software industry is unpredictable at best and keeps upgrading regularly. That means that developers have to remain on their toes and stay up-to-date with the latest tech or software to remain on top. No developer can afford to fall behind in the industry because of their lack of knowledge or skills. As quickly as the technology keeps getting updated newer jobs and positions also open up for developers. Every latest technology requires a developer to work it which is why new kinds of developers are “born” every day. Currently, there are many kinds of web developers working in the industry. We have compiled a list of some of them so we can help you understand what they do or what skills they have. These may not be the most official terms or descriptions however they are legitimate as these developers are working in many companies as of right now. Considered as more of a set of skills rather than a full-blown profession, middle-tier developers are who work a bit of both front-end and back-end web development but are not as expert as full-stack developers. They write non-UI codes that are run on a browser and run non-core code on the server. Their job can be compared to “plumbing” as they fix up and make little repairs on both ends. Desktop developers are those who write and create software applications that are meant to run on desktop operating systems. Linux, Windows and Mac OS are a few examples of such operating systems. These are the kinds of developers that have been around since the beginning because desktop applications were the first kind to be developed. Desktop developers typically use GUI toolkits like WinForms, Cocoa, XAML etc. Before smartphones were invented, the idea of mobile development was unheard of. Mobile development started due to the rise of the smartphone industry. 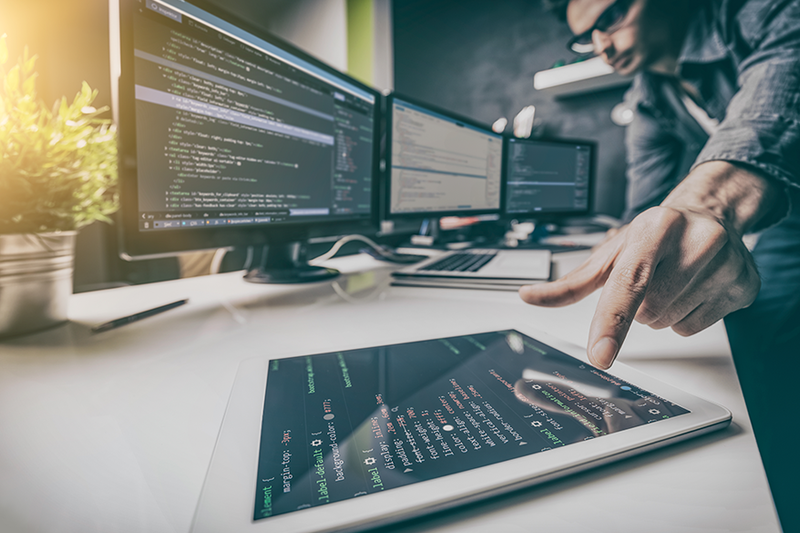 The increase in demand for mobile applications meant an increase in job positions for developers who could develop and write code for applications that run on mobile devices such as tablets or smartphones. Such developers utilize development frameworks like Java and Swift. They know how to create applications that would run on iOS or Android operating systems. These are the type of developers that write codes and software for the video production or gaming industry. Graphics development used to be an insignificant sector of web development until a few years ago. These developers would be required to write codes from scratch using computer science and advanced mathematics. But now, more sophisticated and advanced frameworks have been created to help them. They do not need to write codes from scratch anymore for things like shading, shadowing, lighting etc. Advanced graphics developers use frameworks like WebGL, DirectX and Unity 3D while low-level graphics development requires C++ or Assembly. Data scientist is an unofficial term used to describe developers who write and code programs that are used for data analysis. These software programs are used by many organizations to carry out tasks like data visualization, machine learning, and statistical analysis. The languages that data scientists commonly use to code such software programs include Python, SQL or R.
The system that is used to develop and integrate back-end software programs for software applications require technology and coding. The developer that can code and develop those systems are called DevOps developers. They understand and have the knowledge regarding which technology or programs are needed for such systems. These developers use technologies like Jenkins, Docker, Kubernetes, Apache Mesos etc. Websites that carry out tasks that involve collecting the data of visitors and clients require software programs that CRM developers can write. These programs are used for the sector of customer service. Sales representatives and customer support agents are in the business of using these programs to improve and increase the level of customer satisfaction or experience. CRM developers usually use technologies such as ERP (Enterprise Resource Planning), Sharepoint, SAP, Salesforce etc. After the developers who write and create programs are done, the SDET has to do their job. Their skills include testing and assuring that the programs are running successfully. In order to make certain of that they write software that is responsible for running automated tests or systems that will ensure the products or programs are running as they are meant to and without any glitches. For such purposes, they use coding languages like Python, Selenium, and Ruby. Near the end of the process of web development, the security developer has to do what they are supposed to do. Their task is to ensure the security of the web applications and they are not vulnerable to attacks. These developers are called the ethical “white-hat” hacker because they create and code programs or software that are used to try to infiltrate a web’s firewalls. They understand the patterns and methods that can be used to hack into a web page or application so they carry out many tests to make sure it is safe. They exploit and fix any vulnerabilities or problems in the web’s security. For such tasks, they use coding languages like Python and Ruby.